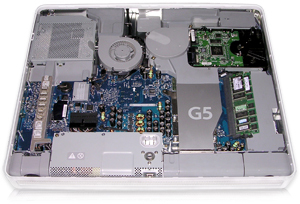 Introduce in May 2005, the iMac G5 (ALS) was a modest improvement in speed and features over the original iMac G5. 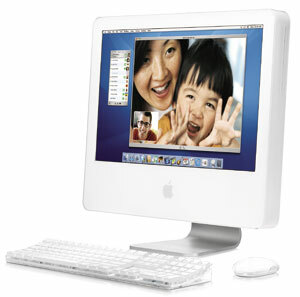 Airport Extreme and Bluetooth were now standard on all models, along with 512 MB of RAM, considered the minimum for smooth operation under Mac OS X 10.4 Tiger. It was initially available in three configurations: 17" LCD/1.8 GHz/160 GB hard drive/Combo drive/$1299, 17" LCD/2.0 GHz/160 GB hard drive/SuperDrive/$1499, and 20" LCD/2.0 GHz/250 GB hard drive/SuperDrive/$1799.